Fo(u)r more on fish . . .
After we aired our ocean privatization episode a few weeks ago, I picked up “Four Fish” by Paul Greenberg. If you want to learn more about fisheries management, the development of aquaculture (so much fascinating science and history), read this book! Greenberg takes us from his childhood fishing haunts to an Alaskan fishing village, from deep off the coast of Hawaii to the Sinai peninsula. We zip back in time to when the Greeks named sea bass, take a peek at the peak and demise of the whaling industry, and get a thoughtful glimpse at different paths for the future of fish. Perfect for reading on the beach this summer. Categories: Miscellaneous | Tags: aquaculture, book, fish, fisheries management, food, history, Paul Greenberg, sustainable | Permalink. 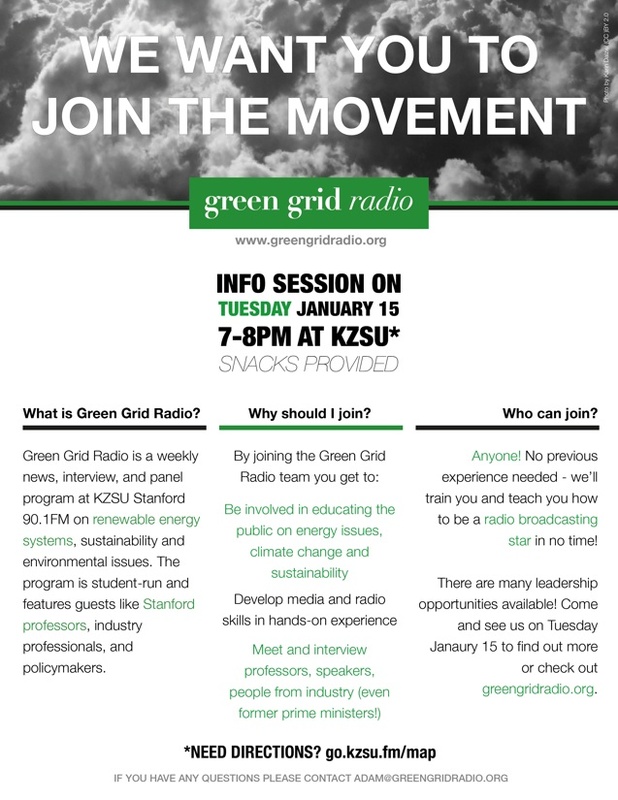 Join the Green Grid Radio Team! What Can Professionals Do To Continue Learning Outside Of a Classroom Environment? It occurs to me the best answer to that is relatively straightforward. First, for high-level discussions of U.S. and international politics, economics, and policy, just spend time on Brookings (http://www.brookings.edu). This is one of the major think tanks in D.C., and is a major creator of policy briefs for Congress and the President. I personally use their homepage like a newpaper, and strongly encourage other folks (especially in the science/climate community) who are serious about understanding our high-level national discourse to follow suit. It’s sort of like the Daily Show, minus the comedy, plus an incredible amount of depth. You won’t get lightning-fast “news” but you get very strong analysis of major current events, national and international. Brookings is considered faintly left-leaning by some, but this is a very professional and objective institution. A few more major plug-ins: most businesspeople rely heavily on The Economist, and although some quasi “right wing” perspectives will appear, this is actually a stronger reflection of the interests of the business community at large. Very strong international coverage. Good for keeping tabs on major events. Also focuses more on analysis and a little less on “newsy” headlines. http://www.economist.com/ Many political science and economics classes taught at Stanford either encourage or require students to be up on the Economist. For those interested in international politics, make sure to also spend some time on Foreign Affairs. This is also slightly more right-leaning in some ways, but this isn’t a bad thing. Many serious professors and scholars (the kind likely to end up in high-level State Department positions) have written for Foreign Affairs.http://www.foreignaffairs.com/ Additionally, the Council on Foreign Relations ( http://www.cfr.org/ ), the parent organization that publishes Foreign Affairs, often has insightful articles on their homepage. It’s important to note that Foreign Affairs is an academic journal, and reflects cutting-edge theoretical thinking and framing of global issues. This is much more for strategic insight. Brookings tends to condense the issues into more descriptive, policy briefing-style informative articles. On a less elevated but perhaps more important note, most U.S. Congressmen and Senators (or at least their aides) religiously follow Politico.http://www.politico.com/ The way I’ve had this described to me by both political science professors as well as insiders on the Hill is that Congressmen and Senators “speak” to each other about their positions and policy preferences, and what things are important. Politico believe it or not serves an important signaling function in our national government. Note that it tends to be less elevated, and rather gossipy. This is actually important training for understanding the world that policymakers and politicians live in — and legislate from. It should make some major flaws readily apparent. If a climate scientist came to me and asked “What can I do to learn as much as possible about everything you suggested?” I’d point them at a minimum at Brookings and the Economist, and encourage reading both of these on a regular basis. You can self-teach yourself an enormous amount here.